Items where Subject is "Sound Design"
Loydell, Rupert and Marshall, Kingsley (2019) 'Listen to the Sounds': Sound and Storytelling in Twin Peaks: The Return. 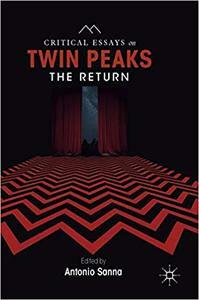 In: Critical Approaches to Twin Peaks: The Return. Palgrave Macmillan, London, pp. 269-280. ISBN 9783030047979 Item availability may be restricted. Newall, Amanda (2015) Hoover Diaries. UNSPECIFIED. Item not available from this repository. Prior, David (2014) Documentary Sound: Beyond the Diegetic. In: World Documentary Film and TV Conference, September 4-6, 2014, Falmouth University. (Unpublished) Item availability may be restricted. This list was generated on Wed Apr 24 19:38:27 2019 BST.